an international NGO based in Minnesota that works to heal the wounds of torture and to end torture worldwide. CVT currently operates clinical programs in Minnesota and Atlanta, as well as Ethiopia, Jordan, Kenya, and Uganda. She has worked at CVT since 1995 in a variety of roles, including the provision of healing services to survivors, training, research, and program development and administration. In 2015, she worked with colleagues at CVT and the International Rescue Committee (IRC) to start a partnership extending healing services to refugee torture survivors in Atlanta. She received her Ph.D. in clinical psychology and child development from the University of Minnesota. Ilhan Omar is the newly elected, Minnesota House Representative for District 60B. She is the first Somali-American, Muslim woman in the nation to hold an office at this level. She is an experienced policy analyst, progressive DFL activist, coalition builder and community educator. Most recently, she served as the Director of Policy Initiatives at Women Organizing Women, where she empowered East African woman to take civic leadership roles in their community. Ilhan lives in the West Bank neighborhood of Minneapolis with her husband and their three children. Ilhan's interest in politics began at the age of 14 when she was as an interpreter for her grandfather at local DFL caucuses. Watching neighbors come together to advocate for change at the grassroots level made Ilhan fall in love with the democratic process. Ilhan’s steadfast belief in the American dream of democracy has driven her to make our district, city, and community a better place for everyone. Through her work as a policy analyst and community advocate, Ilhan has advanced important issues, including support for working families, educational access, environmental protection, and racial equity. and a member of BAJI’s senior leadership team. Tia is responsible for developing and implementing strategy for BAJI's national campaigns, coalitions and program initiatives, including public education and trainings. Tia manages BAJI’s flagship project—the Black Immigration Network (BIN)—a national network of over 40 organizations in communities serving African-Americans and immigrants of African descent to build relationships, develop skills, and advance an agenda for immigrant rights and racial justice. Mobilizing thousands of advocates for various issues in the public interest, Ms. Oso is a dynamic social justice champion, organizing campaigns such as “PHX For Trayvon” and leading the historic "Say Her Name" action at the Netroots Nation 2016 Presidential Candidate Townhall. A community engagement specialist experienced in social change initiatives, Ms. Oso is a firm believer in the ability of everyday people to become change-makers in their communities. rhonda ortiz is the managing director of the program for environmental and regional equity at the center for the study of immigrANT INTEGRATION AT USC. In her role, she manages the Centers, leads research projects and conducts research. She has co-authored numerous reports, including California Immigrant Integration Scorecard; Making Change: How Social Movements Work and How to Support Them; Immigrant Integration in Los Angeles: Strategic Directions for Funders with Manuel Pastor; Connecting at the Crossroads with Manuel Pastor and Jennifer Ito; The Color of Change: Interethnic Youth Leadership for the 21st Century with Manuel Pastor and Jennifer Ito; and Sustainable Advocacy for Fair Credit and Fair Banking with Manuel Pastor and Vanessa Carter. Fluent in Spanish, she has lived in Mexico and worked with a team of researchers to develop economic development projects between immigrant Hometown Associations in Los Angeles and their communities in Jalisco, Mexico. Ortiz was a member of the inaugural cohort of the Rockwood Fellowship for a New California. She holds a Masters in Urban Planning from UCLA. Angel Padilla works closely with other health project staff to develop and implement NILC’s federal immigrant health policy agenda. Prior to joining NILC in February 2014, he was an immigration policy consultant at National Council of La Raza. Before that, he was a legislative assistant for Rep. Luis Gutiérrez (D-IL), advising on issues related to health care and the Affordable Care Act, among others. Mr. Padilla also has interned with the Department of Homeland Security Advisory Council and the U.S. House of Representatives. He holds a bachelor’s degree from the University of California, Berkeley, and a master’s degree from Princeton University, Woodrow Wilson School of Public and International Affairs. overseeing all of the bank’s community development activities. In that role, he oversees the Bank’s CRA investments, mortgage and community development loan portfolios and works closely with area nonprofits to meet the needs of low and moderate people in Delaware. leading their statewide community programs. She joined the NALEO team in 2012 and has since worked extensively on the organization’s significant civic engagement efforts related to elections and naturalization for the Latino community. Based in Los Angeles, CA she is responsible for the strategic development, planning and implementation of the California portfolio to further the organization’s mission of facilitating the full participation of Latinos in the American political process. Angelica holds a Master’s in Public Affairs from the University of San Francisco and a Bachelor’s in Political Science from the University of California, Los Angeles. bringing over 15 years of experience working at the intersection of adult education and immigrant integration. In her current role, she strengthens and expands the multi-sector collaborative network between ESL providers, workforce development boards, public agencies and community-based organizations championed by ALLIES. She also supports the development and implementation of an Immigrant Integration Framework across ALLIES partners. Before joining ALLIES, she oversaw the ESL program at Catholic Charities of Santa Clara County, serving refugees and immigrants in the San Francisco Bay Area. Ilse was born in Belgium and moved to California in 2006.
a nonprofit, U.S. Treasury-certified Community Development Financial Institution based in Providence, Rhode Island. He has helped the organization grow to a 21-person staff, a $2 million budget, and with operations in Rhode Island, Florida, and Delaware. Andy is a firm believer in the dream of Dr. Muhammad Yunus, the so-called father of microfinance, to put poverty in museums. When not working, he can be found writing poetry and essays, cycling, and hanging out with his beautiful wife, Bianca, and his Beagle, Chance. Luis a. quiÑones is the director of the education and workforce department at the latin american YOUTH center (LAYC) and ADJUNCT professor in psychology at ana g. mèndez UNIVERSITY system. Witnessing firsthand the opportunities that education provided his family, he was inspired to dedicate his career toward the advancement of underserved communities. He serves as one of the organizational trainers for Racial Equity, Cultural Competency, LGBTQ and Positive Youth Development trainings at LAYC, and on various committees and panels regarding education, college access, equity and advocacy. He was awarded the Mustard Seed Community Service Award by the Siembra First Education Foundation, Maryland. A native of Puerto Rico, Luis received his Bachelor Degree in Psychology from the University of Puerto Rico and his Masters of Counseling Psychology at Bowie State University, Maryland. joined the organization in February 2014. As Executive Director, Suman coordinates SAALT’s overall efforts to amplify diverse South Asian voices advocating for progressive change in the US. Suman is a passionate and seasoned immigrant rights advocate with extensive experience on the range of issues addressed by SAALT, deep connections to South Asian communities, and relationships with key partners in the racial justice and immigrant rights movements. She has experience in leading non-profit organizations, having first served as Interim Executive Director and then as a long-time member of the Board of Directors of Chhaya Community Development Corporation, one of SAALT’s close partners. The daughter of Indian immigrants, Suman has a keen understanding of the issues affecting South Asian and other immigrants in the United States. She has deep experience conceptualizing and coordinating multifaceted and multi-issue campaigns that span numerous proposals and stakeholders, and assembling the coalitions critical to advancing them. Through her work at organizations including the American Civil Liberties Union, Progressive States Network, and the New York Immigration Coalition, Ms. Raghunathan has developed expertise on policy issues, directed immigrant leadership development programs, launched newcomer civic engagement campaigns, and implemented capacity-building and advocacy campaigns. Suman received her undergraduate degree in international relations from Brown University and has a Master’s degree in Nonprofit Management from the Milano School of International Affairs, Management, and Urban Policy in New York City. Tara Raghuveer is the Deputy Director of the National partnership for New Americans (NPNA). Tara leads NPNA’s policy and advocacy work. In 2015 she led the development of NPNA’s New American Dreams Platform, an immigration agenda for 2016 and beyond. Tara also oversees NPNA’s communications team, internship program, and the National Immigrant Integration Conference. With the support of a broad coalition, she developed the Community Navigator curriculum which has trained over 7,800 immigrant leaders to deliver community-driven legal services. Tara has been cited in publications like the New York Times, Washington Post, TIME, NPR, and Slate. Her research on eviction and poverty in Kansas City is cited in Evicted. She graduated from Harvard College, where she was the student body president. Tara is an Australian-born Indian-American who came to the US with her family in 1996, has since lived in New York, St. Louis, Iowa City, Kansas City, Boston, and is now based in Chicago. She tweets @taraghuveer. Melissa Rodgers is the Director of Programs at the Immigrant Legal Resource Center (ILRC), based in San Francisco. She directs the New Americans Campaign (NAC), a national initiative bringing together national and local organizations, in partnership with a funder collaborative, to increase naturalization among eligible lawful permanent residents. She also contributes to ILRC’s manual, Naturalization and U.S. Citizenship: The Essential Legal Guide. Melissa brings more than a decade of non-profit leadership experience to her role. Prior to joining the ILRC, Melissa was the Director of Blue Shield of California Foundation’s Health Care and Coverage program, Directing Attorney of the Child Care Law Center, Associate Director of the UC Berkeley School of Law Center on Health, Economic & Family Security, and a Directing Attorney and Director of the Health Consumer Center at the Legal Aid Society of San Mateo County. She also founded a medical-legal collaboration program with Lucile Packard Children’s Hospital at Stanford, created and co-taught medical-legal courses at both Stanford Law School/Stanford Medical School and University of California at Berkeley School of Law/University of California at San Francisco. Melissa has a Master’s of Education as well as a law degree with honors from Harvard University. Reverend Alexia Salvatierra is the founder of the Faith-Rooted Organizing UnNetwork and a co-founder of the national Evangelical Immigration Table and the 2007 New Sanctuary Movement. In addition to coordinating the Welcoming Congregations/Guardian Angels Network for the Southwest California Synod and assisting at Hope Lutheran Church, she serves as a consultant for national and international organizations, including: World Vision, Intervarsity Christian Fellowship and the Christian Community Development Association. She is the co-author of Faith-Rooted Organizing: Mobilizing the Church in Service to the World with Dr. Peter Heltzel. From 2000 to 2011, she was the Executive Director of Clergy and Laity United for Economic Justice. Rev. Salvatierra is an adjunct faculty member at national and international seminaries including: the New York Theological Seminary, Fuller Theological Seminary, Universidad Teologica de la Iglesia Apostolica, and Duke Divinity School Summer Intensive, and has lectured at a variety of academic institutions, including the University of Southern California and UCLA. She has been awarded the Changemaker award from the Liberty Hill Foundation, the Stanton Fellowship from the Durfee Foundation, the Amos Award from Sojourners, the Giants of Justice award from CLUE LA and the Prime Mover fellowship from the Hunt Alternatives Fund. Mayor Madeline Rogero is Mayor of Knoxville, Tennessee. She was sworn in as the 68th Mayor, and the first woman to hold the office, in December 2011 and is currently serving her second term, winning re-election with 98.8% of the vote. Her career includes serving as the city’s community development director, Knox County commissioner, non-profit executive, urban and regional planner, community volunteer and neighborhood champion. She is a former consultant to Capital One and America’s Promise, and former executive director of Dolly Parton’s Dollywood Foundation and Knoxville’s Promise – The Alliance for Youth. Mayor Rogero postponed her college studies in the mid-'70s to work with Cesar Chavez to help farm workers improve their living and working conditions. She has a B.A. in Political Science from Furman University and a Master’s degree in Urban and Regional Planning from The University of Tennessee-Knoxville. Mayor Rogero was elected to the Advisory Board for the U.S. Conference of Mayors and is Co-Chair of the Advisory Board of the Smart Growth America Local Leaders Council. She previously served on President Obama’s State, Local, and Tribal Leaders Task Force on Climate Preparedness and Resilience and also on Tennessee Governor Bill Haslam’s Task Force on Aging. advocating for it to be seen as a profession and be paid a living wage. Vilma was born and lived much of her adult life in Costa Rica, raising five children and running a catering business. In her 40’s, she fell in love with an American man who planned to move to Costa Rica. When he became ill, they both moved to the U.S. so that he could keep his health insurance. Vilma and her husband married, but she earned too little—first cleaning houses, then providing elder care—to pay the fees to apply for a green card. She became involved with the immigrant rights movement and served on the Board of Domestic Workers United. In 2010, Vilma began taking care of Dolores, a 90-year-old former independent businesswoman whose dementia required 24-hour care, seven days a week. Dolores had no family nearby so Vilma became her lifeline and primary caregiver until she died this year. Vilma finally received her green card in 2014, was able to bring her daughter to the U.S. in 2015, and will soon be joined by her youngest son. Ambassador Carlos Sada is the mexican Ambassador to the U.s. Ambassador Sada has been working most of his life for the Mexican public sector, including as Consul General of Mexico in Los Angeles (2013-2016), Consul General of Mexico in New York (2011-2013), Minister for Congressional Affairs at the Embassy of Mexico in Washington, DC (2007-2011) Consul General of Mexico in Chicago (2000-2007), Consul General of Mexico in San Antonio (1995-2000), Mayor of the City of Oaxaca, State of Oaxaca, Mexico (1993-1995), Consul General of Mexico in Toronto, Canada (1989-1992), and Secretary of Social and Economic Development of the State of Oaxaca (1986-1989). Consul General Sada holds a degree in industrial engineering from the Universidad Iberoamericana in Mexico City. He completed graduate studies at the University of Newcastle in Great Britain, at the University of Deft in the Netherlands, and from the Public Administration Institute of The Hague, in the Netherlands. During his ten years of leadership, the Chamber played a key role after the 2007 recession to secure a period of unprecedented growth in the region with a business relocation and expansion strategy called “Partnership 2020.” Additionally, the Chamber was the lead organization that created the nationally recognized Nashville Entrepreneur Center and the passage of a public referendum supporting construction of the Music City Center convention facility. Schulz also led the movement to improve public school performance through the creation of the Academies of Nashville and becoming a respected publisher of data on the Nashville Metropolitan Statistical Area with the annual publication of the Vital Signs report. He joined the Chamber after a 30-year career in nonprofit management, marketing and fundraising, including six years of those years as CEO of the Adventure Science Center in Nashville. Schulz is a graduate of the University of Tennessee, and currently serves on numerous civic and nonprofit boards, including the Center for Nonprofit Management, Nashville Health Care Council, Alignment Nashville, Tennessee Business Roundtable and Father Ryan High School, as well as on the MTA Strategic Plan Advisory Committee. where she works with advocates at the state level to improve access to health coverage for low-income children and families. She leads CCF’s work on coverage for immigrant families, monitoring and analyzing policy issues related to health reform implementation, Medicaid, CHIP, health insurance marketplaces, the basic health program, and more. Sonya was most recently a program director at the National Academy for State Health Policy, where she led State Refor(u)m, an online network for health reform implementation. Sonya has designed and led projects, written papers, produced events, and provided technical assistance on a broad range of health reform and state health policy issues, including implementation of health reform, health insurance exchanges, essential health benefits, coverage expansions through Medicaid and CHIP, and commercial insurance reforms. Sonya speaks regularly to a wide variety of state and national audiences such as provider and consumer groups, patient advocates, academic institutions, and other think tanks. She also has experience speaking to a variety of news media, appearing on the Diane Rehm Show, Marketplace, and in US News Health, the Los Angeles Times, Politico and Bloomberg BNA. AZADEH SHAHSHAHANI IS LEGAL & ADVOCACY DIRECTOR WITH PROJECT SOUTH. Azadeh has worked for a number of years in North Carolina and Georgia to protect the human rights of immigrants and Muslim, Middle Eastern, and South Asian communities. She previously served as National Security/Immigrants’ Rights Project Director with the ACLU of Georgia. Azadeh is a past president of the National Lawyers Guild. Through the NLG, Azadeh has participated in international delegations, including to post-revolutionary Tunisia and Egypt, a delegation focused on the situation of Palestinian political prisoners, and election monitoring delegations to Venezuela and Honduras. She has also served as a member of the jury in people’s tribunals on Mexico, the Philippines, and Brazil. Azadeh also serves as Chair of Georgia Detention Watch, Co-chair of the US Human Rights Network Working Group on National Security, and on the Advisory Council of the American Association of Jurists. She is the author or editor of several human rights reports, including a 2012 report titled “Prisons of Profits: Immigrants and Detention in Georgia,” as well as law review articles and book chapters focused on racial profiling, immigrants’ rights, and surveillance of Muslim-Americans. Heather Skrabak is the Associate Director of Policy and Advocacy with the Association of Asian Pacific Community Health Organizations (AAPCHO). She helps to support policies and programs that benefit the health of Asian American, Native Hawaiian and Pacific Islander communities in AAPCHO’s 35 members clinics. Heather’s immigrant health work includesensuring access for immigrants in health care, through language access, right to health, and ACA enrollment policy. She leads a multi-year 15-site civic engagement program in AAPCHO’s community health centers. Her policy focus areas also include appropriations, payment reform, and the needs of Limited English Proficient populations. Heather comes to AAPCHO from the American Diabetes Association, where she assisted with developing the ADA’s health disparities policy platform. She supported the capacity-building and advocacy efforts of a 30-member volunteer council of health disparities experts and advocates. Previously, Heather was a Community Healthcorps member at East Boston Neighborhood Health Center, where she tackled food access and childhood obesity in Boston. Heather studied Migration & Public Health at Boston University. Washington State’s largest immigrant rights advocacy organization. Rich brings more than 15 years of experience at the intersection of policy, politics and organizing across a broad spectrum of issues impacting low-income communities and communities of color, including jobs and income support policy, immigration policy, infrastructure investment and environmental justice. At the Center for Community Change, he coordinated the Fair Immigration Reform Movement, a national coalition of immigrant rights organizations responsible for some of the largest mobilizations and protests in American history in the work to achieve comprehensive immigration reform. He managed the Reform Immigration FOR America Campaign, a multi-million dollar, cross sector campaign with more than 900 organizational endorsers. He also helped to found and staff the Transportation Equity Network, a multi-ethnic organizing strategy focused on the impact of transportation policy on job access, community development, and environmental justice. Rich was born in Seoul, South Korea. Growing up in California, he was always conscious of his bi-racial identity and what it means to be a citizen, ideas which were framed by his and his mother’s experience as newcomers to the United States. Dr. Julie Sugarman is a policy analyst at migration policy institute's (MPI) National Center on Immigrant Integration Policy. She focuses on issues related to immigrant and English Language Learner students in elementary and secondary schools, including policies, funding mechanisms, and district- and school-level practices that support high-quality instructional services. She also works on the particular needs of immigrant and refugee students who first enter U.S. schools at the middle and high school levels. 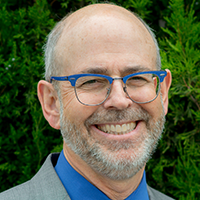 Prior to MPI, Dr. Sugarman worked for 15 years at the Center for Applied Linguistics, specializing in the evaluation of educational programs for language learners and dual language/two-way immersion programs. Dr. Sugarman earned her Ph.D. in second language education and culture from the University of Maryland, College Park. Sabrina Terry is the Senior Strategist for the Wealth Building Initiative within NCLR's Office of Research, Advocacy and Legislation. She currently oversees a national financial inclusion program, that integrates financial capability resources and immigrant legal services, to assist Latinos plan for their financial future when they seek legal assistance to become U.S. citizens. Mrs. Terry also works with affiliates and financial institutions to increase safe and affordable small dollar loan products within immigrant communities. Laura Vazquez in the Program Manager for Immigration initiatives at the National Council of La Raza. In her role, Laura works closely with NCLR Affiliates and other advocates to increase the capacity of immigration legal service providers. She also monitors immigration policy and conducts legislative and administrative advocacy in order to advance just and humane reforms to the immigration system. a worker-led community organization dedicated to defending and expanding the rights of day laborers, domestic workers, and other low-wage and immigrant workers in the Birmingham area. Jessica is also a Staff Attorney at the National Day Laborer Organizing Network. Her focus areas include lawyering in support of social movements and the intersections of immigration, criminal justice, employment and labor, and civil rights law. Jessica received her JD from Yale Law School. Hannah Winnick is Program Director for Transatlantic Dialogues on Democracy and Social Policy at the Heinrich Boell foundation North America. The program aims to enhance transatlantic policy exchange on two core issues: 1) Migration & Integration, which promotes responsible policies for the humane and dignified treatment of migrants and refugees, as well as their comprehensive integration into schools, workplaces, and societies, and 2) Digital Societies, which promotes a nuanced dialogue on both the challenges to civil liberties and the opportunities for innovation of digital technologies. Prior to joining the Foundation, Hannah worked as Transnational Liaison at Hispanics in Philanthropy (HIP), an organization dedicated to strengthening the Latino non-profit sector in the US and Latin America. She has also worked with LEAD, the Mercator Capacity Building Center for Leadership and Advocacy in Berlin, to examine new models of leadership in German diplomacy. She has a broad range of international experience, having lived, worked, and studied in Germany, France, Turkey, the Dominican Republic, Israel and Portugal. Hannah holds a Master in Public Policy from the Harvard Kennedy School, where she focused on international negotiation and conflict resolution, and a Bachelor’s degree in Political Science from Amherst College.